Barely escaping with her life after another failed assassination attempt, Grace finds herself safely tucked away in obscurity. 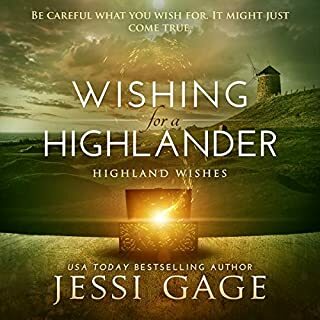 Now in England, Cullen McKinnon and Gage, Duke of Seabridge, have her ensconced in accommodations that are anything except a humble homeless shelter. The assassin gets much too close for Cullen's comfort; that proximity is the only reason he agrees to allow Gage to take Grace back to Seabridge. The assassin will come for her again. And this time they're ready. David McBain can do the impossible with one hand tied behind his back, but miracles take him a wee bit longer. Two deployments in Afghanistan couldn't prepare Major David McBain and Captain Kenzie Wallis-Manning for the week leading up to D-Day, June 6, 1944. From the bombed-out streets of London to the huts at Bletchley Park and an interview with Alan Turing to the 2nd Battalion Army Rangers and the beaches of Normandy, this high-stakes, time-travel, World War II romantic adventure will keep you enthralled, awake into the wee hours, and racing toward the end, only to wish it had never arrived. West Point graduate Kenzie Wallis-Manning planned to make the Army her career, but after being severely wounded during her second deployment, and suffering from PTSD, she retires from the military and enrolls in law school. While studying in England, she receives a package containing an emerald brooch with a Gaelic inscription. As soon as she sounds out the words engraved on the stone, she is whisked back in time to May 28, 1944. 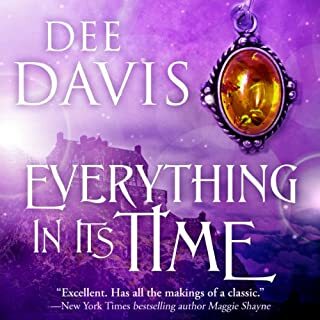 When Elliott Fraser learns his friend's half-sister, Kenzie, has disappeared, he sends David McBain and Jack Mallory to the past to find her, and bring her and her soul mate back to the future. Will David discover the mission pits him against the best interests of Britain? Will Jack's penchant for getting in trouble put his life at risk again? Will Kenzie find her soul mate, or will she lose more on the battlefield of this war than she did in Afghanistan? What did you love best about The Emerald Brooch? The time is set in WWII , week of D-Day and the present. Kenzie's adventure draws you in right from the start. The experiences and her destiny take you on a very fun, sad, scary, and romantic ride. Best time travel romance with a twist! 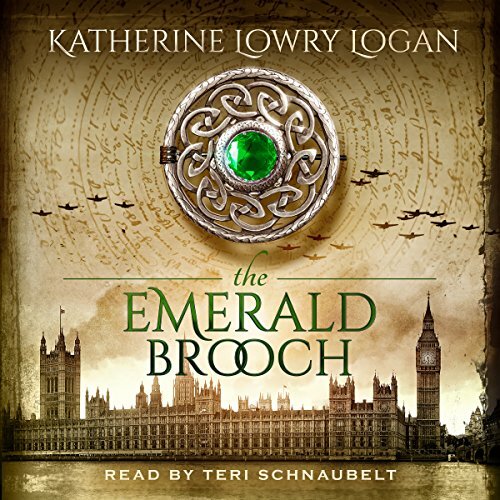 I simply loved the Emerald Brooch by Katherine Lowry Logan and it is my favorite in the series so far! 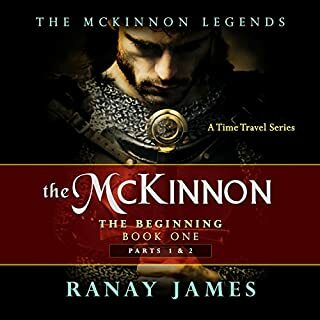 As I said with the first book in the Celtic Brooch series, when I listen to these books, I can't help put feel totally immersed like I did the first time I read the Outlander series by Dianna Gabaldon in the early 1990's. The story begins with West Point graduate and Army hero Kenzie Wallis-Mannging who retires from the Army after suffering substantial wounds and PTSD during her second deployment. While studying in England, she receives a package from Scotland with an Emerald Brooch. As she reads the inscription on the inside of it, she is whisked back to WWII London - a mere week before D-day. This particular book also has a twist in it that is not found in other time travel books. I can't say more or I'd be revealing a spoiler! Let me just say that Kenzie meets her soul-mate back in 1944 and both come back to present day. Both characters are portrayed realistically with flaws, fears, and hope. I especially enjoyed how the story comes “full circle” at the end and I felt that all loose ends were resolved to great satisfaction. 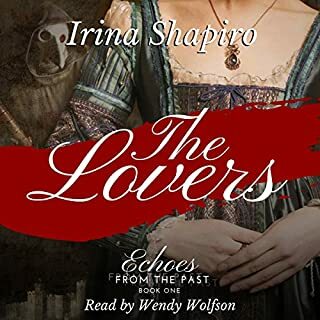 Teri Schnaubelt narrated this audiobook as she did with the prior three stories in the series. Her narration is simply fantastic. She really brings the characters to life, using a variety of accents and giving each character their own distinct voice. Her reading is nicely paced throughout and she kept me enthralled listening late into the night. I can't wait for the next Celtic Brooch story! This is a really fun historical time travel romance book. I really enjoy how with each book in the series you meet new people but also get to know how everyone else is doing. I look forward to the next book! How far do you need to go to find love? What made the experience of listening to The Emerald Brooch the most enjoyable? First, Katherine writes very well, so listening one of ther book is pleased. Second, the author uses not only the Second World War as backdrop to the plot, but also the internal wars Kenzie locks to be seen in the midst of a battle. What was one of the most memorable moments of The Emerald Brooch? For me is impossible choose only one moment. All the book is perfect. Yes. THe moment Kenzie was captured and tortured. Here Katherine mades the moment be intense. wjthout be cruel. Well, as all Katherine's book, this too is longer, with a slow narration. But is amanzing too. In this book we see the love between Kenzie and her soulmate grow stronger amid the numerous wars throughout the book. Enjoyed revisiting previous characters with the addition of new ones. Can't wait for the next one. I have listed to the other three books in this series. This one had an unexpected turn of events in the brooch's time travel series of events and meeting her soul mate. Another great story by Katherine Lowry Logan. The narration was excellent. Teri Schnaubelt does a great job. IT is very easy to listen to stories that she has narrated. Will the Miracle Worker Meets His Match? Kenzie Wallis-Manning, former Captain and now law and history student living in London, England receives a mysterious package from a solicitor in Scotland. Inside she finds an antique puzzle box containing an Emerald Brooch. As she is examining the brooch she discovered that the stone is hinged and inside is a Gaelic inscription. Upon speaking the inscribed words she is whisked away into the past to 28 May 1944 just prior to D-Day. David McBain, former Major, is hard at work on his new fiction when he receives a call from a friend and attorney, Jim Manning. Jim's half-sister, Kenzie, has vanished. After a few days of extensive research and preparation David and his friend, fellow author and brother of Dr. Charlotte Mallory (from The Sapphire Brooch), Jack Mallory head from present day to hopefully 1944 to find Kenzie and bring her home. 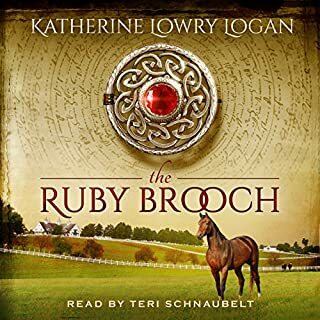 So begins another wonderful tale of the Celtic Brooch series from author Katherine Lowery Logan and narrated by the talented Teri Schnaubelt. I truly enjoy Ms Logan’s descriptions of both past and present, but especially the sensory details. With the addition of Ms Schnaubelt’s fabulous narration, character voices and inflections it makes it easy to let your brain put you front and center in the story. There are more hints as to the possible origin, numbers, and reasons for the brooches throughout but even more questions arise at the end of the book. I anxiously await the next Celtic Brooch audiobook. This audiobook was provided in exchange for an unbiased review. Very impressive!! It was like reading/listening to an exciting, adventurous, fun filled memoir. The story was very realistically portrayed in each era and overall. The narrator did an outstanding job. 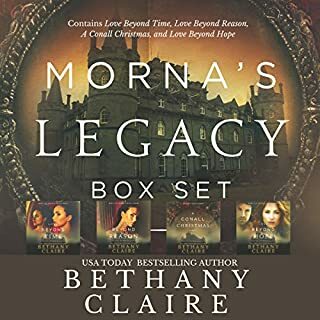 Within one conversation encounter, she slipped effortlessly back and forth from Gaelic, Scottish, French, and British accent and remain consistent in her portrayal of each character throughout the story. I had to check and recheck to verify that the Audio was not a "full cast" production. I was hooked by the story from start to finish. Even though it was midweek, I stayed up later than I should, just to advance a few more chapters. Very exceptional writing and unusual story line. Each book is worth the wait. I loved all of the plot twists and turns. You never know what is going to happen next. I loved David, but then again I have loved him since the beginning of the series. I am so glad that he has his own story. What about Teri Schnaubelt’s performance did you like? I love Teri's ability to change dialects and voices depending on the character. I have listened to the other three books in the series and it is amazing how many characters that Teri is able to voice. Can't wait until the next book comes out. I just love this series and can not wait to see where it will take me next. Please keep up the great work!!! Very good follow on to previous books in this series. A little too much inner dialogue and could be a bit more pacey but overall an interesting and enjoyable listen. Loved the characters which were well drawn and historically accurate with good plots and interesting subplots. Narrator good and got the different accents and personalities well enough to keep the story flowing nicely. A good read.